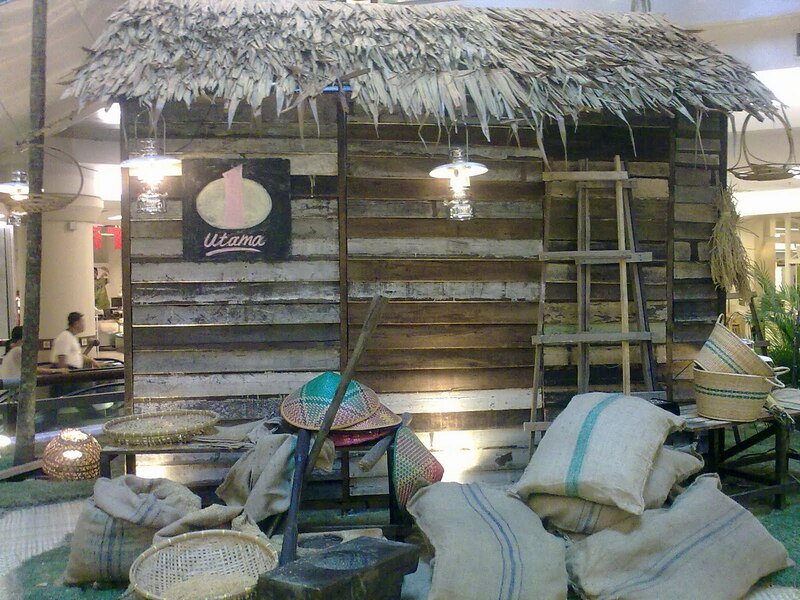 Shopping mall always have their own decoration according to festival season. 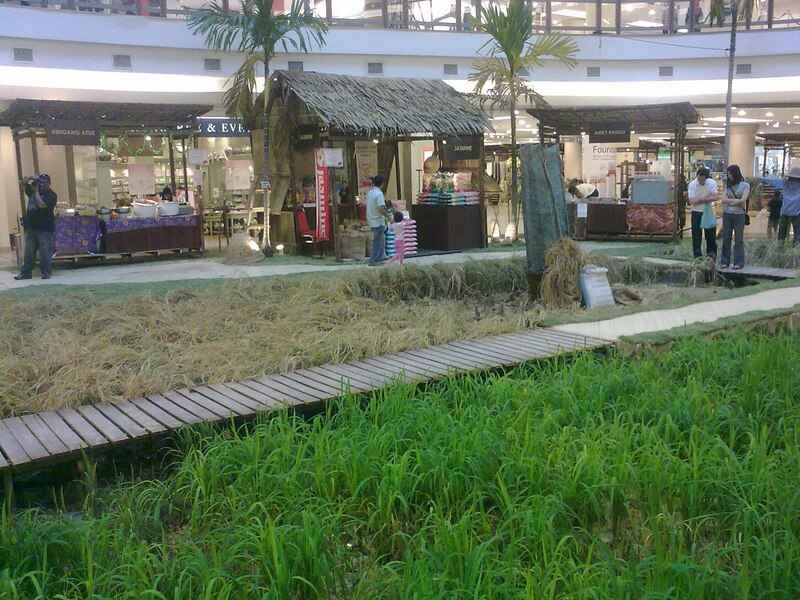 Since Hari Raya is just around the corner shopping mall will started to decorate their themes. decorate with paddy field and show you the early stage until the harvest stage. Some store are selling rendang, cookies or kuih raya & etc. Later we went to lunch. Is really difficult to make a choice when there are so many choices. I think, we almost walk whole 1 Utama looking for the food we wanted to eat. 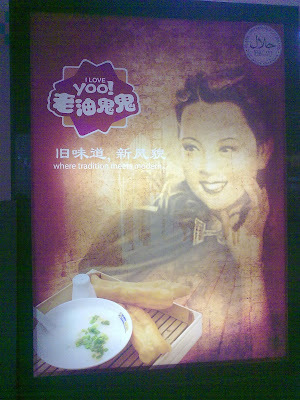 At last, we decided to eat at this stall with a nice name. 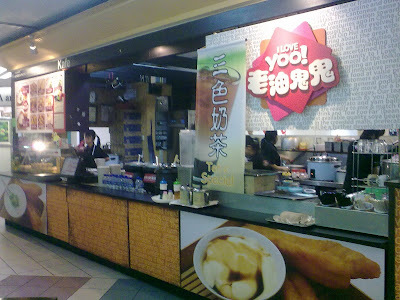 I Love Yoo! 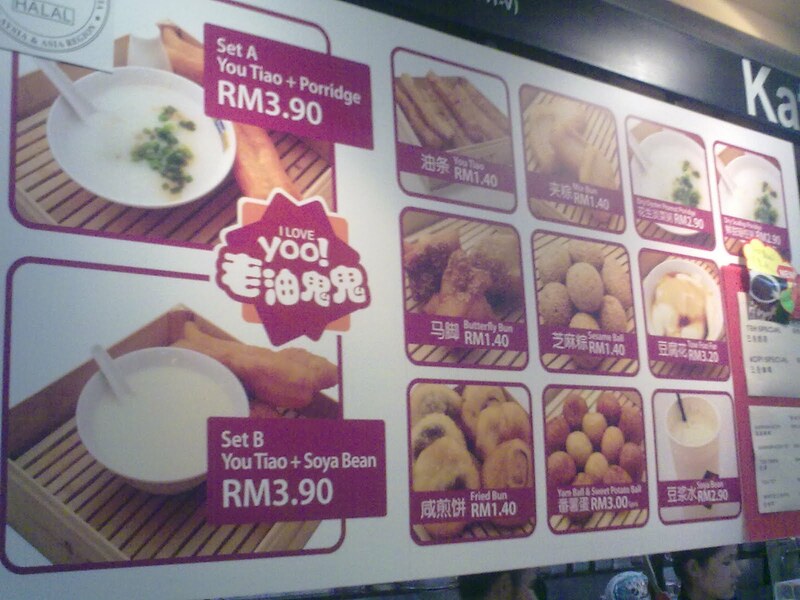 This shop serve porridge, 'you tiao' or 'yau char kuai', soya bean curd & snack. The set they offer only cost RM3.90 which is pretty cheap and you can add extra snack such as bean curd, butterfly and etc. 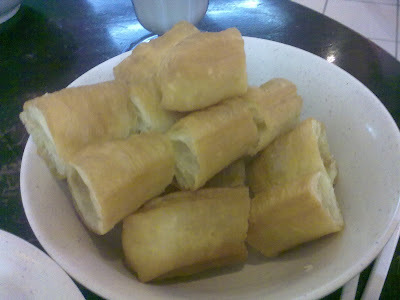 We order set A which is porridge + you tiao. 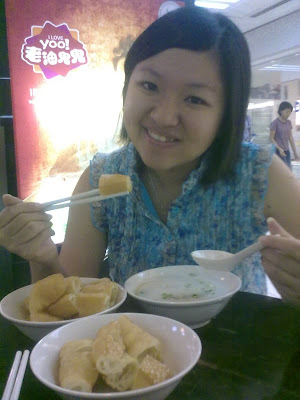 The porridge is rich and smooth while the you tiao is crunchy. 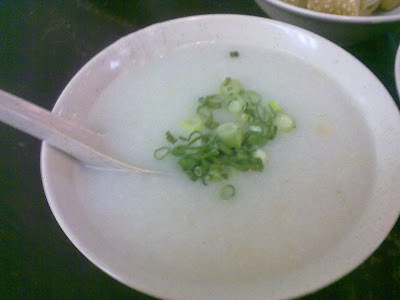 simple porridge with tasty taste. 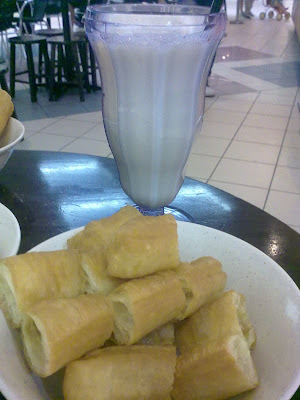 yao tiao & soyabean milk. The soyabean milk tasted less of sugar but I think is just nice. 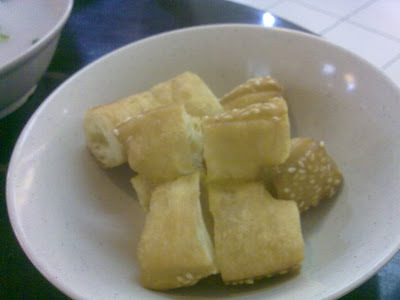 If you want a sweeter taste, you can add white sugar or gula melaka. My side order, butterly Is something like yao tiao but taste sweet with sesame on it. I really enjoy the food here. It taste good and is suitable for those who want a quick snack. Highly recommended this place. Go for a try! Simple girl with simple thinking mind. Hesitate when come to make a decision. Often with second thought , 3rd.. 4th .. and so on. I easy to get frustrated with myself when things doesn't go the way i want it to be.Basically i do not like to plan for the future because we will not know what will going to happen.I define the lucky number of mine 25 as it was my birthday. "Come, uncle bring you go see goldfish... "